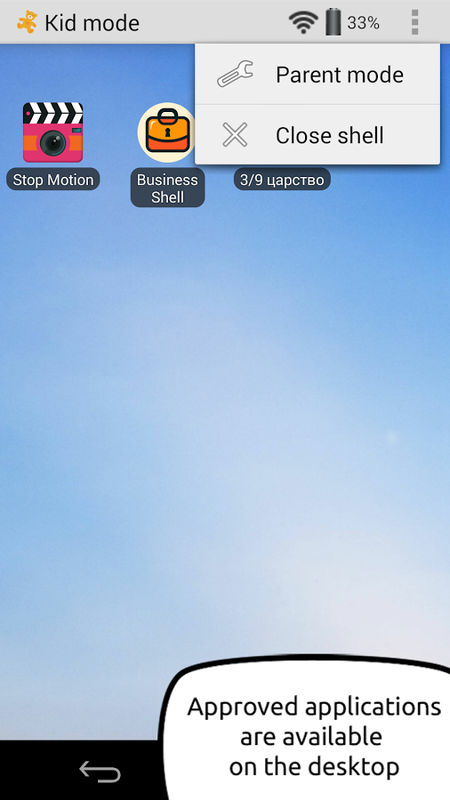 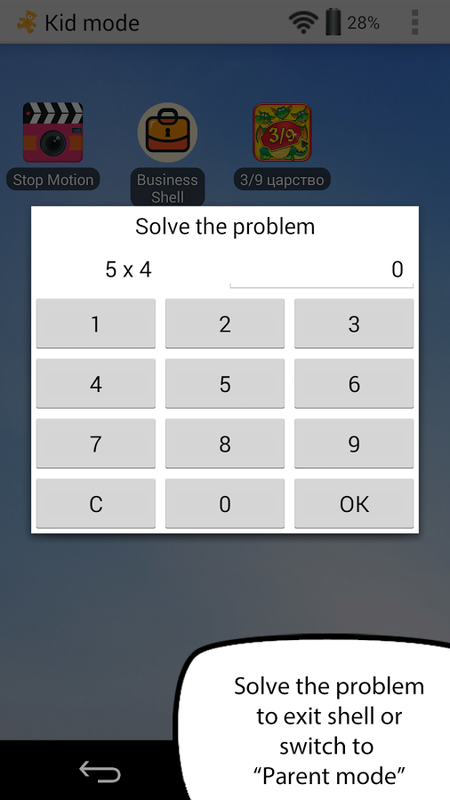 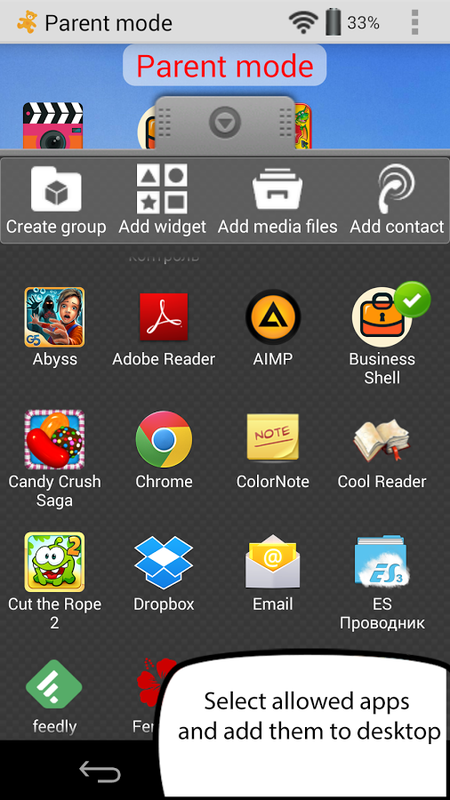 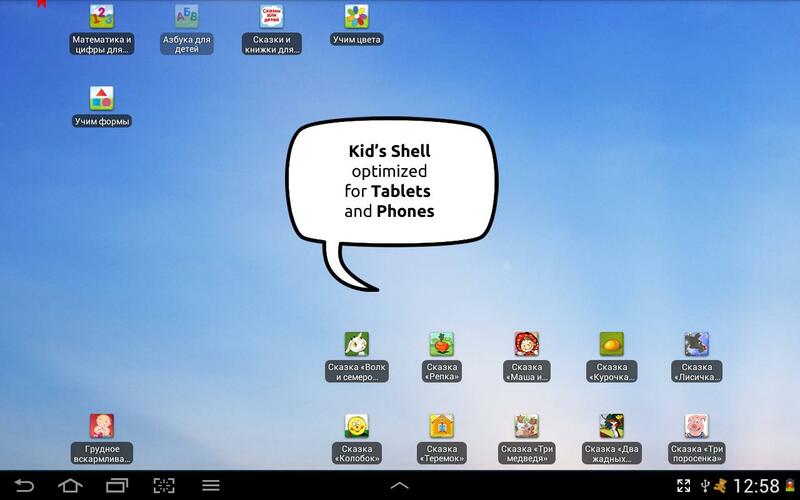 Kids's Shell - children's shell (or children launcher) allows to run only allowed applications and games on your phone or tablet. 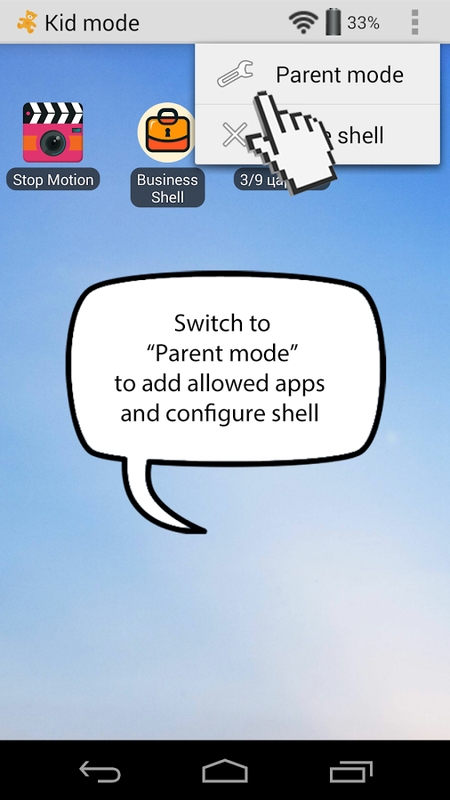 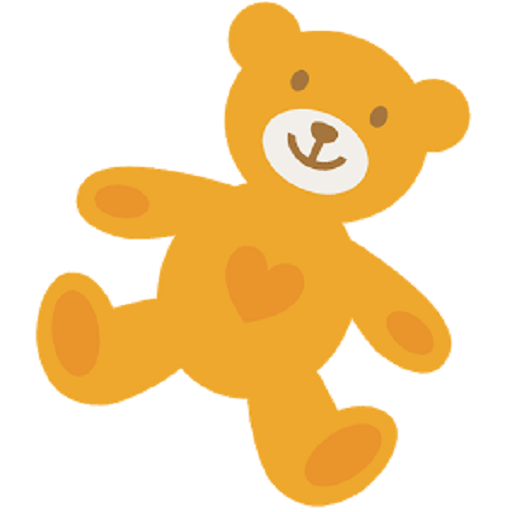 The application allows parents to create a safe zone on your device and be patient for the device and children. 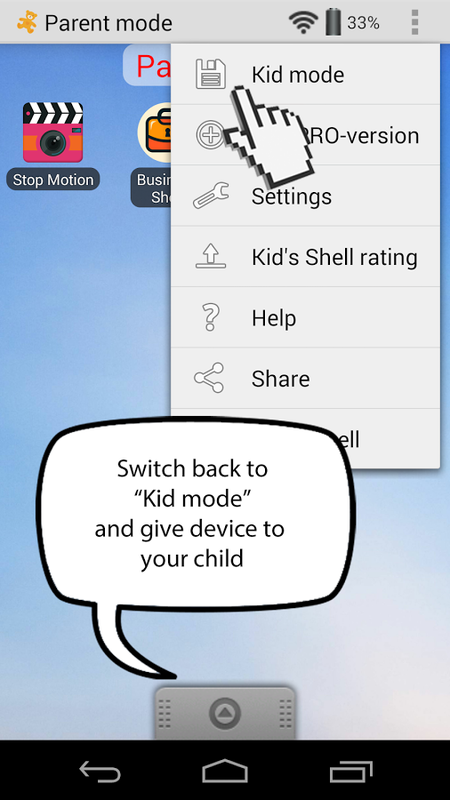 Kid's Shell is a Parental Control app developed to make your phone or tablet safe for children. 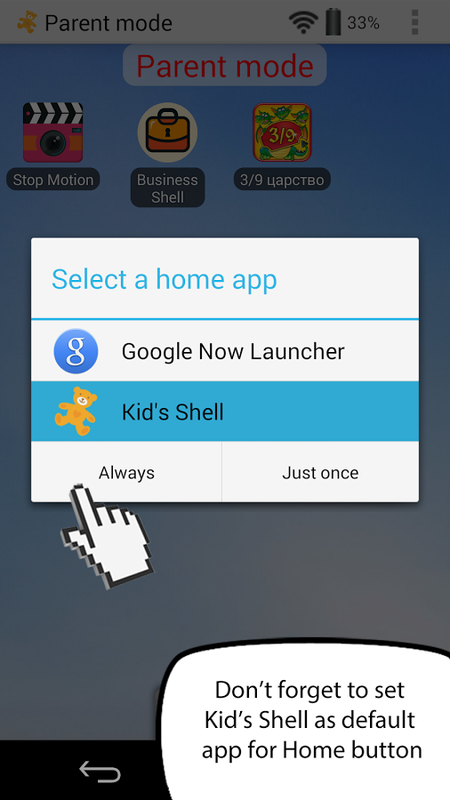 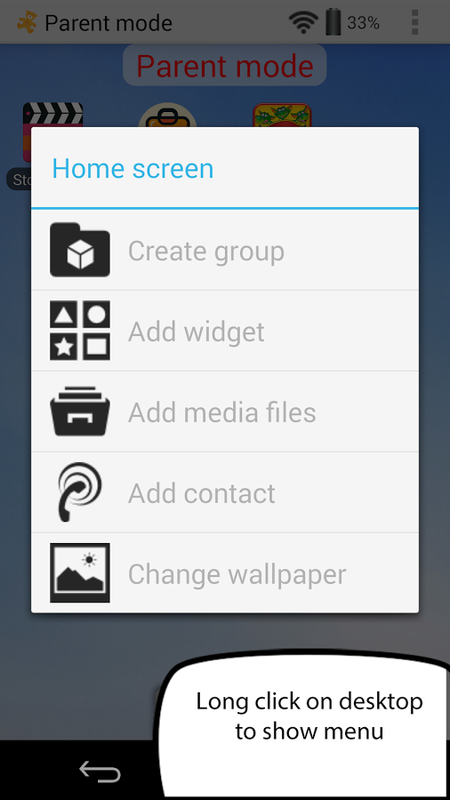 With this application you can configure your device to launch only approved applications. 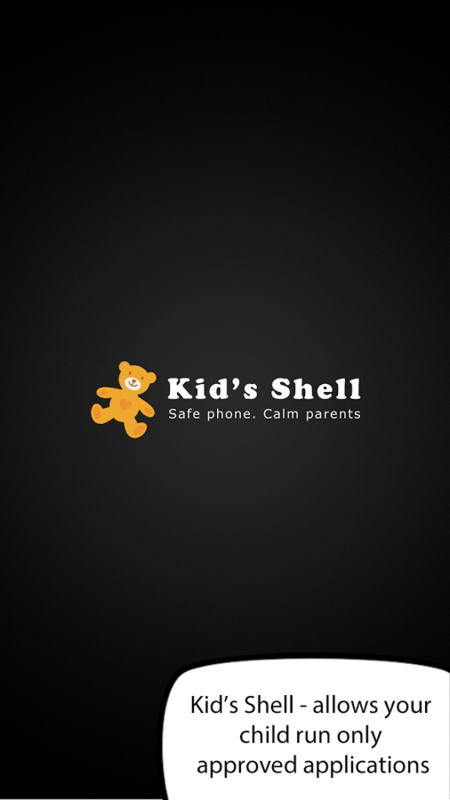 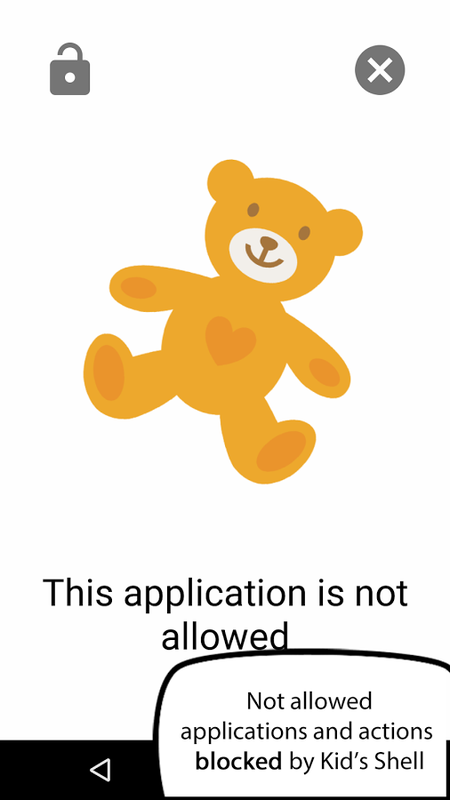 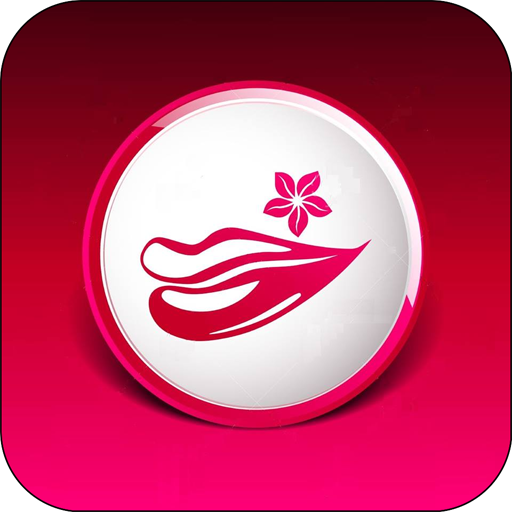 By using this app child can't made a call, send SMS, run not allowed applications or buy paid apps.